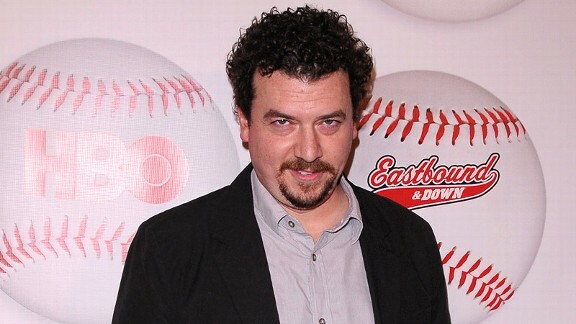 AP Photo Actor Danny McBride got pitching lessons from a former pro; now Kenny Powers can really pitch. Kenny Powers is a whole new man. Oh, don't worry: In the third and final season of HBO's Eastbound & Down, which begins Feb. 19, Danny McBride's character will still have a mullet, will still be grotesque and will still lust to play in the bigs again. But this time the pitcher will actually throw like a pitcher thanks to McBride's work with former pro Heath Altman. The two initially teamed up before Season 1, when Altman was simply tasked with making the actor passable. "The first time I met with him," McBride said, "I threw a pitch and he said, 'Good thing this is a comedy!' We ended up shooting real close to hide my terrible form." But McBride's mechanics have improved so much since then that for this season, in which Powers joins the minor league team in Myrtle Beach, S.C., Altman taught him a circle changeup and a split-fingered pitch. "He could throw a decent bullpen now," Altman said. Not coincidentally, you'll see Powers on the field more than ever in the final episodes. McBride won't reveal how it will play out, but we get the sense that the show will get mileage out of Myrtle Beach's mascot, the Mermen. "I want a whole line of Mermen shirts and hats," he said.